Prof. Dr. von Büren studied law at the University of Bern, where he gained his Doctorate in 1956 titled “Part-time and temporary work as new forms of service in the Swiss law”. 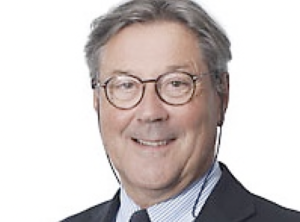 In 1984 he became a lecturer; in 1990 he acted as an honorary professor at the University of Bern, where he was also appointed Professor Ordinarius in 1992 for Commercial Law, Competition Law and Intellectual Property Law. In the same period he was Director of the Institute for Commercial Law at the University of Bern. In 1995 he became the first Director of the Competition Commission under the new Swiss Antitrust Law. Additionally he was also Chairman of the Board of the Valiant Bank-Group and an Of-Counsel of a Swiss Law Firm. His main areas of practice were Commercial law, Competition law, Intellectual Property law and Law on Group of Companies. Immaterialgüter- und Wettbewerbsrecht 1998 (co-authoreded by Eugen Mar-bach), Bern 2002. Immaterialgüter- und Wettbewerbsrecht 1998 (co-authoreded by Eugen Mar-bach and Patrik Ducrey), Bern 2008. Grundriss des Aktienrechts: mit Berücksichtigung der laufenden Revision (co-authoreded by Walter A. Stoffel and Rolf H. Weber), Zürich 2011.